Every android user must come across with the word "USB debugging". Whenever we connect our smartphone with computer, we get a notification to allow USB debugging - " allow USB debugging ". Without knowing more about it, we simply allow it. It may be risky if you don't know anything about it. So, in this post I shall discuss every aspect of USB debugging. Let's start with basics. In simple words, this mode provides direct connection between android device and computer with android SDK (software development kit). 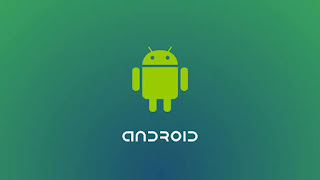 After enabling this mode, android device can recieve commands, files etc from computer and computer can receive important informations from android device. So, if you enable this mode then actually you open all the doors of your android device. Connected PC can pull anything from your device and can push anything to your device. So, whenever you allow this mode think for few seconds. Is it safe or not ? If you want to do anything advanced on your android device then USB debugging is must. Actually it provides us developer level to interact with android device. This mode was developed for programmers who develop their apps on SDK. Through this mode, they can transfer their app to android device and do testing. This mode is also important for non-technical persons. We can transfer data between computer and android device by enabling USB debugging mode. There are some apps which require enabling of this mode to run properly on your device. How to enable USB debugging mode in Android device? At first go to "settings" of your android device. Now scroll down till you find "developer options". Click on this option. You have to slide the activation button at the right side of developer options to activate it. Now scroll down to find "USB debugging" option. Check the checkbox. Congratulations! You have enabled the USB debugging mode in your android device. You can disable this option by unchecking the checkbox after your work is complete. Is it safe to keep this USB debugging mode enabled on android? I have discussed uses and advantages of the USB debugging. But, there are some risk with which you should be aware. When you enable the USB debugging mode the you open all the doors of your android device. Your device is totally exposed when it is attached with a system through USB cable. If you are attaching it with your personal computer then there is no problem. But, if you are connecting it with unknown system like any other person's computer or public charging stations, then your device may be at risk. Someone can steal information's and data from your device or some malware can be inserted into your device. Google has come with a built in safety feature that is per- PC authorization for USB debugging access. Whenever you will connect your device to a PC , it will ask to approve USB debugging mode. If you will refuse then connection will not open. If you know how to enable USB debugging then you should install Android device manager for safety purpose. If you lost your device then android device manager will be helpful in erasing all the data of your device so that none could access it.